THE GIRL WHO DRANK THE MOON! You will fall in love with these characters. Luna, the enmagicked child who is extremely loved and contains a lot of magical powers, and her existence changes everything. Fyrian, the “Perfectly Tiny” Dragon, who is excited about everything and prone to fiery hiccups. Atain, an Elder-in-training in the Protectorate who questions the ways of the Elders and wants to be a carpenter. Every one of these characters will have readers head over heels in love with them. You’ll want them in your life. They are so delightful and lovely, especially because they’re flowing with so much love. You know what will get me super emotional in books? When I see non-blood related characters coming together to form a family. It’s such a beautiful sight, and The Girl Who Drank the Moon has that. Xan has created an unusual family that works—who would’ve thought an old witch, an ancient swamp monster, a Perfectly Tiny Dragon, and an enmagicked little girl would make a loving family? They worry; they protect; they tease; they love; they will do everything and anything like risk their lives for each other. It’s extremely touching. There’s so much love radiating from The Girl Who Drank the Moon. Every moment in The Girl Who Drank the Moon radiates with love. This book is filled with so much love for its characters and the relationships they have. I can’t stop raving about it! Every character shows their love in their own way, and it makes my heart soaaarrrrr. You won’t ever question their love—not Xan the supposedly “evil” witch, or the hardened but soft Glerk, or the crazy Madwoman who speaks in riddles, or Atain, who just wants to protect his family. The love will make your heart full and wanting. Stories are apart of their living. From the evil witch who lives in the forest to the lies people tell themselves in survive, stories are constantly being told in this world. Everybody in the Protectorate keeps the stories of the witch alive by constantly retelling and warning their children. However, not all stories are true. It takes one person to get tired of the fear and sorrow the witch has caused and do something about it. It opens a whole can of worms and changes the narrative of the story like what Atain decides to do against the wishes of the Elders. Everybody has a stake in the stories. I promise that readers will be smiling when they read The Girl Who Drank the Moon, especially when it involves Fyrian, the Perfectly Tiny Dragon, who can’t read the room well, but he’s a sweetheart. These funny moments make you take a step back and appreciate the characters. It’s one of the reasons why I fell in love with this book. The prose is inviting and warm. Just what a fairytale-esque book should be! The writing is fantastic. It paints vivid scenes of the forest and the bog, the magic and the starlight, and so much more readers need to experience for themselves. It will envelope readers in its warmth and love. Readers will fall in love with the characters just like when Xan, Glerk, and Fyrian fell in love with baby Luna all those years ago. It’ll leave readers utterly spellbound. Should you read The Girl Who Drank the Moon? YES, YES, A MILLION YES! 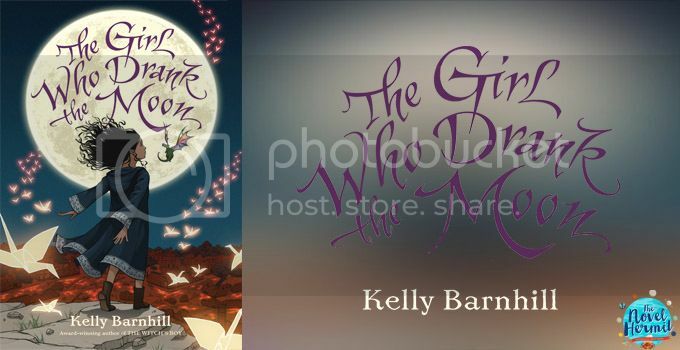 The Girl Who Drank the Moon is unlike any fairytale you’ll ever read. It’ll absolutely enthrall you, I guarantee this. In The Girl Who Drank the Moon, readers get a misunderstood witch who is so loving, a coming-of-age story of an enmagicked and well-loved little girl, unusual characters who are larger than life and absolute sweethearts, corrupted Elders who refuse to listen to reason, characters who just want to protect their family or their secrets, amazing storytelling that’ll keep you wanting more, and so much love that you can’t help but want to twirl in it. Readers, strap yourself in for this wonderful magical adventure you’ll embark on. It’s so worth a read to get to know Luna and the people (and Swamp Monster and Perfectly Tiny Dragon) who loves her. Great review! I absolutely loved this book, too. Best book I’ve read so far this year! Looks like I need to read this book! Just added it to my GR. Fantastic review. Thanks! This sounds like an amazing read. I will have to add it to my TBR, thank you for such a wonderfully detailed review. The Girl Who Drank the Moon sounds utterly delightful! I’m a sucker for stories with a fairytale vibe; based on your review, this sounds like one of them. I definitely think the characters already sound really appealing, and have no doubt that I’ll find them charming when I do get around to checking out this story!